An original oil painting with added mixed media. 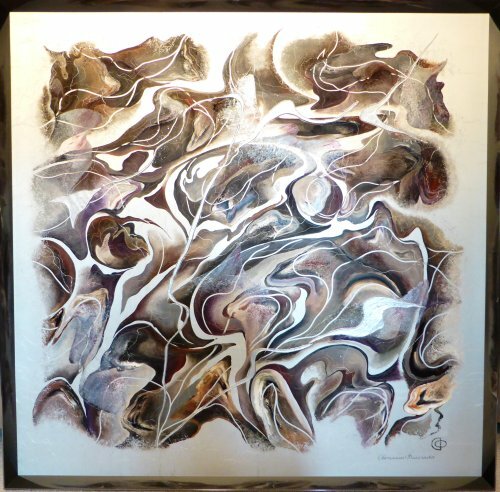 This is executed on a textured metal panel which is then framed in a metal frame. The multi layered painting creates a lot of depth and movement.